Almost finished the world map and the new map of Jael. I just need to add darker boundary lines. 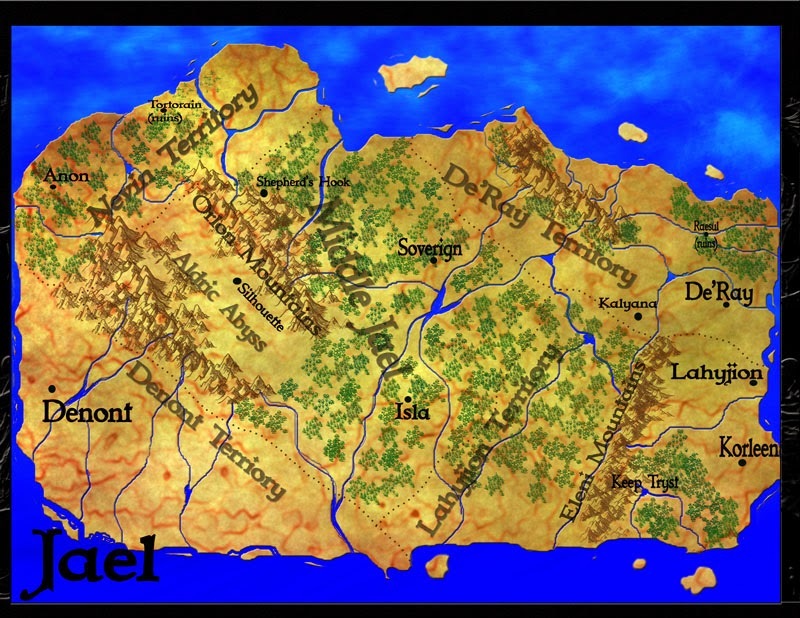 Jael is the main province (land) in the series. 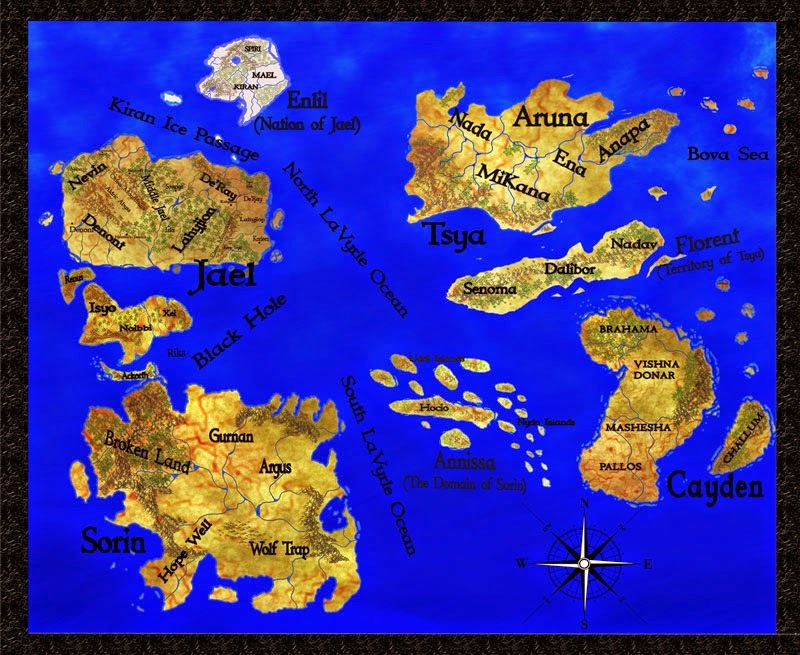 Book 1, The Sciell, was set in only two places- De'Ray and Raesul. The characters didn't care about the rest of the land. In Books 2 and 3, the characters come from different parts of the province. They've been overseas. Throughout the stories, they travel from one end of Jael to the other. Because of that, those stories required more world building. Also, as I mentioned before, Books 2 and 3 take place 50 years after the first one. The world is going through an apocalyptic event. Many people in Jael moved away from big cities to take over abandoned villages/towns in the middle of the land. New places grew between Book 1 and 2. I'm thinking, for the final book, I'll take you to another land. We'll see. That'll mean more world building and another map. Now, I have to figure out how to divide the world map. It's going on two pages in the paperback version of Chains of the Sciell. No way I can put it on one page and make it legible. If you want a larger version of each landmass, check out The Sciell's World.